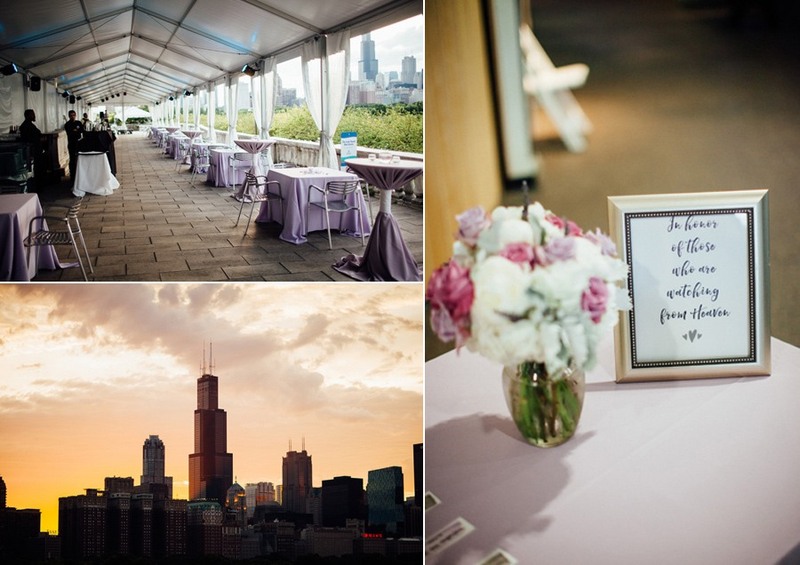 If you want to get married against a backdrop of stunning lake views and don’t mind soaring dolphins stealing the show, there’s only one place to go. 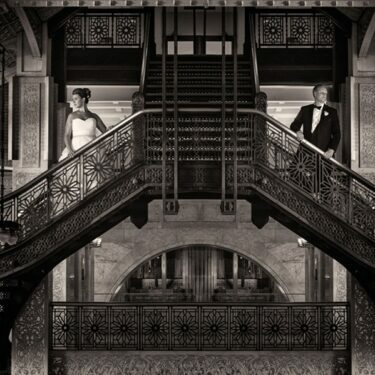 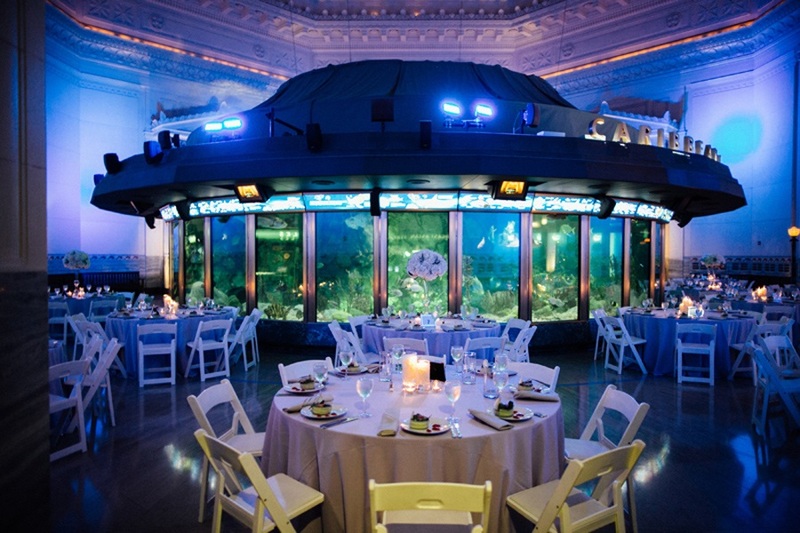 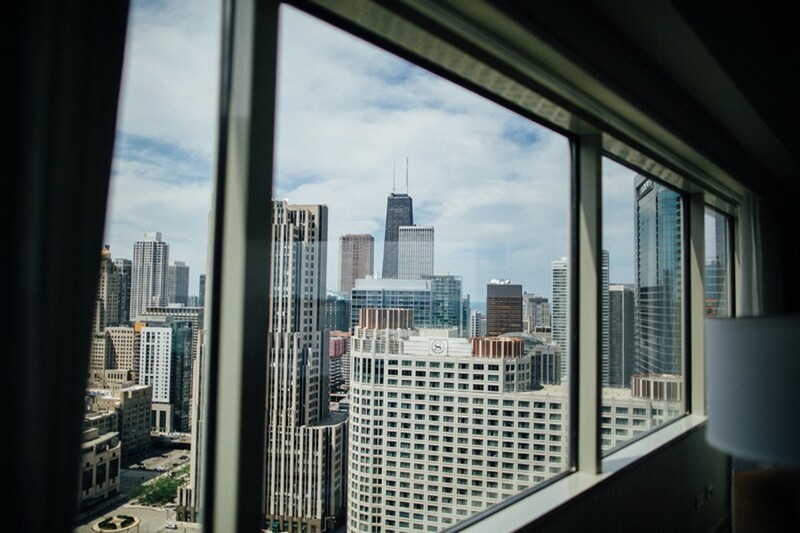 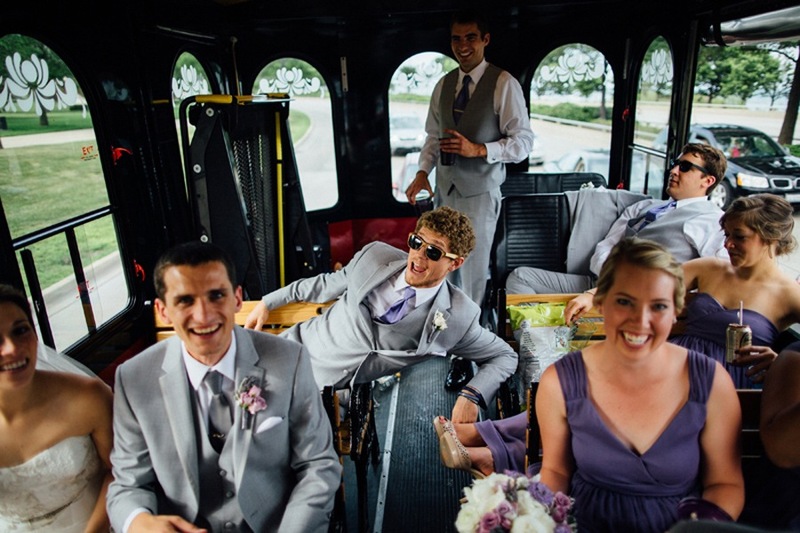 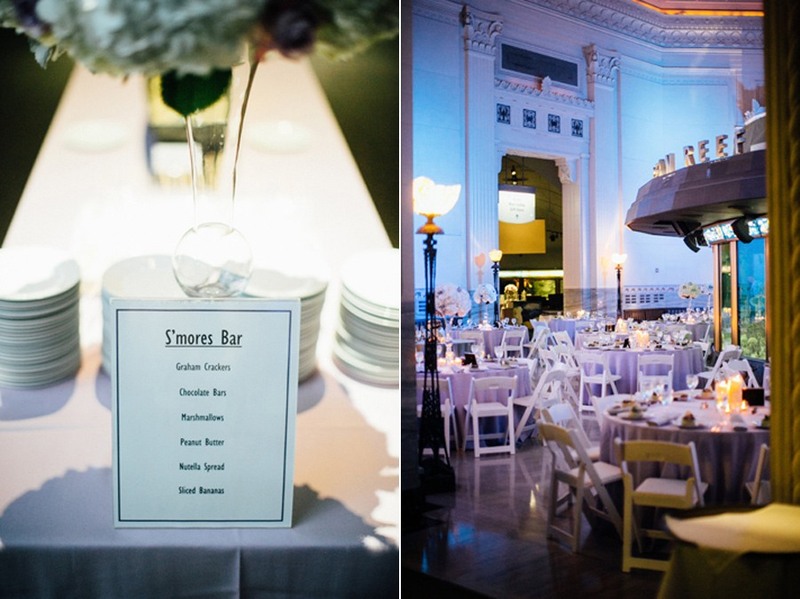 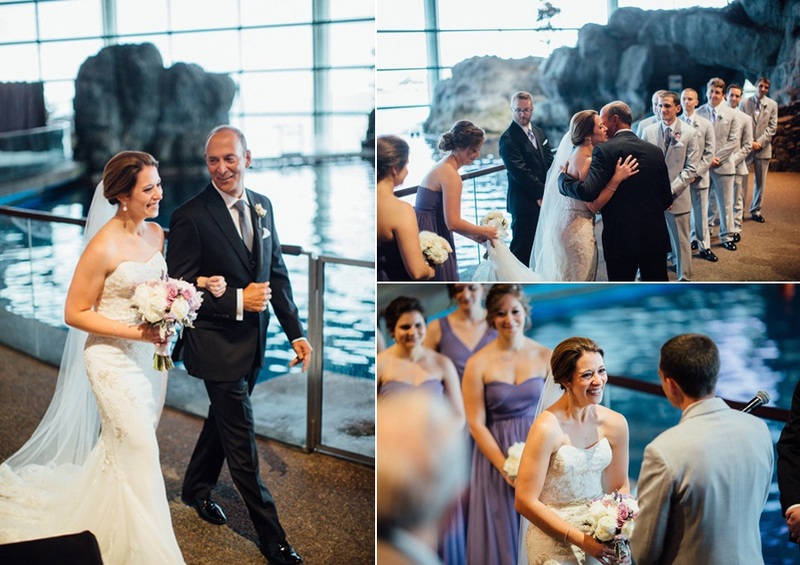 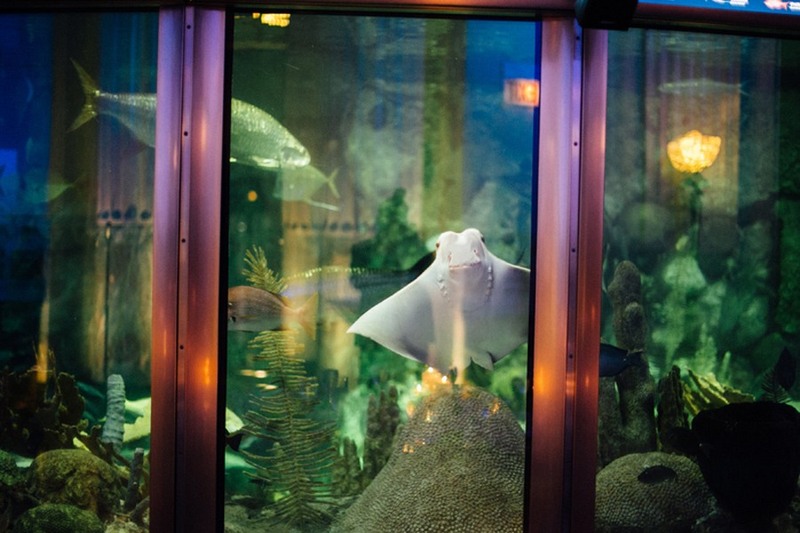 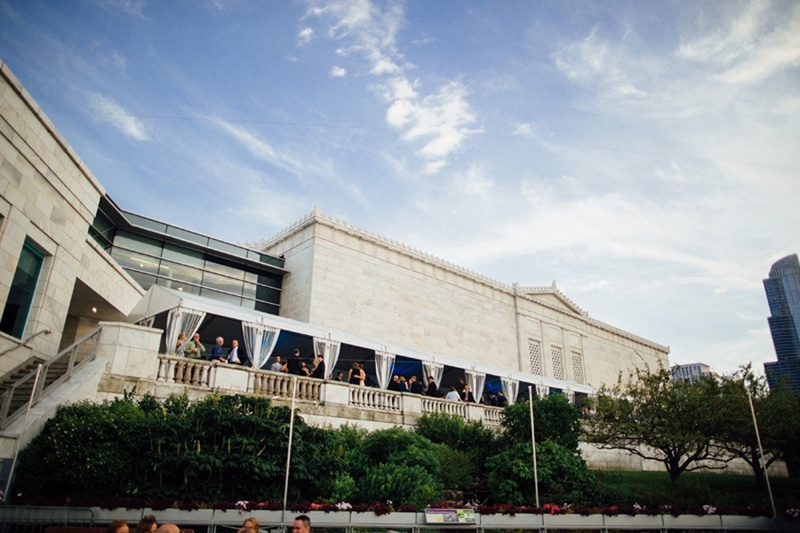 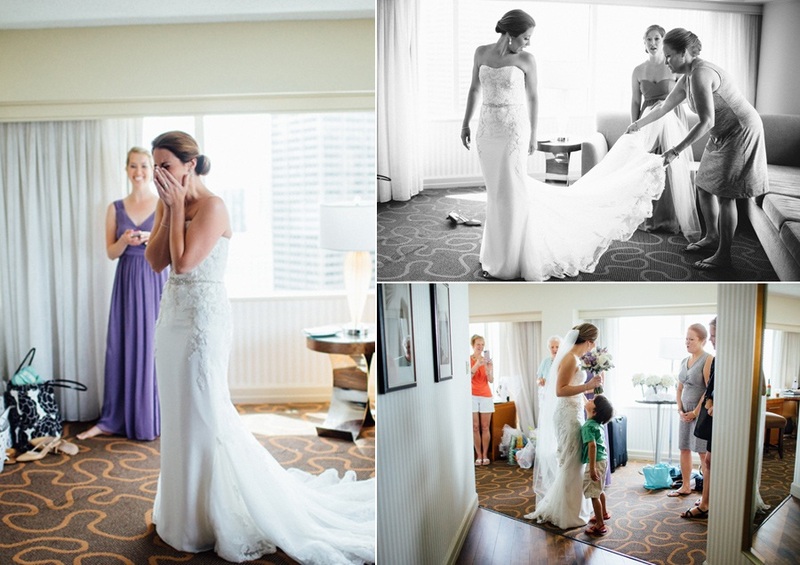 And that’s just what Kim + Michael did when they got married at Shedd Aquarium this summer. 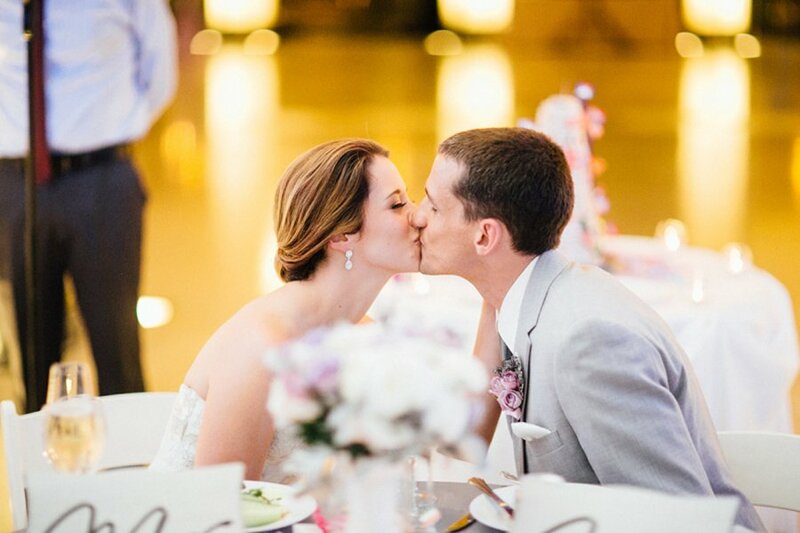 The setting was perfect for this fun-loving couple! 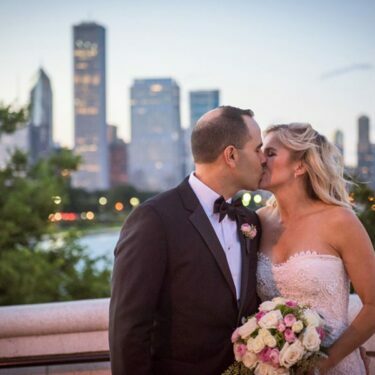 Kim + Michael started the day getting ready surrounded by family and friends before heading out for some stunning first look photos along the Chicago River. 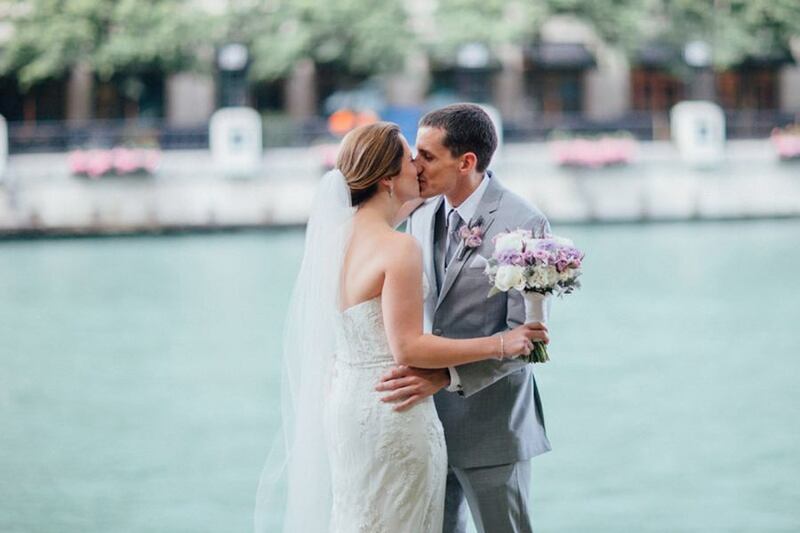 Because, ya know, it had to be waterside! 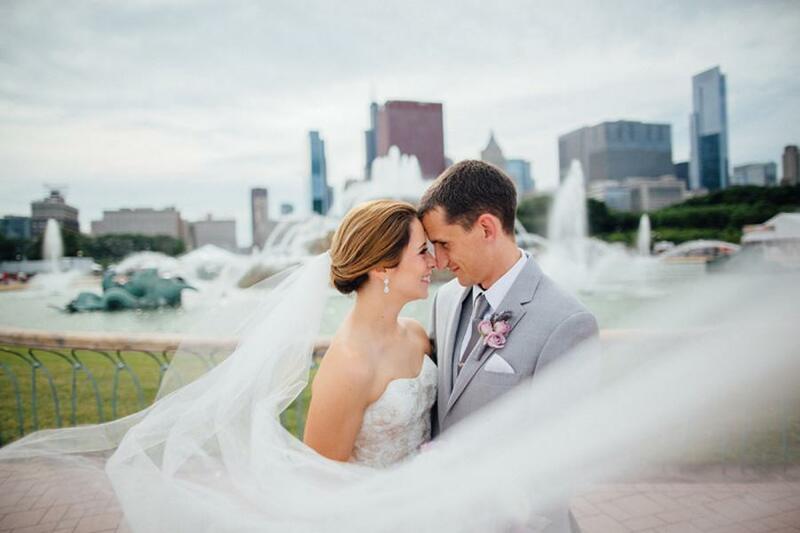 After photos, the couple made their way to Shedd for their lakeside and poolside wedding ceremony and reception. 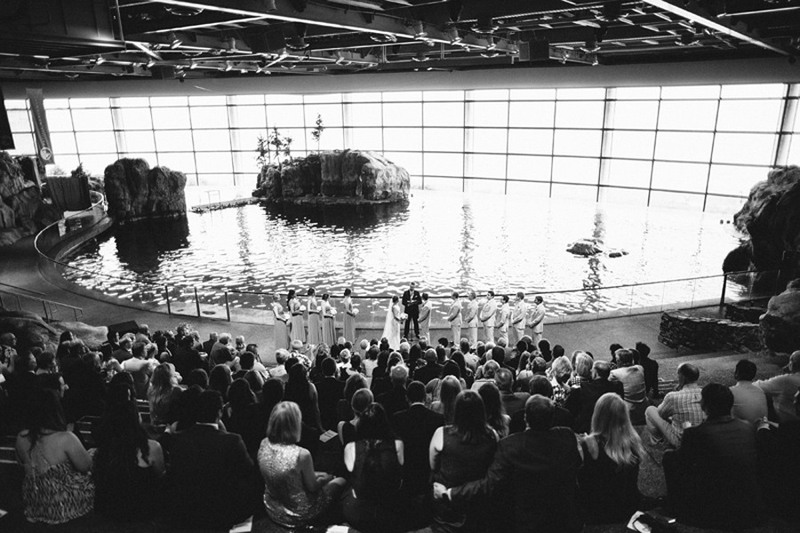 And if you were wondering, the dolphins really did jumped for joy when they said “I do!” A beautiful and very personal ceremony was followed by an outdoor cocktail reception against the most amazing skyline backdrop anyone could ask for. 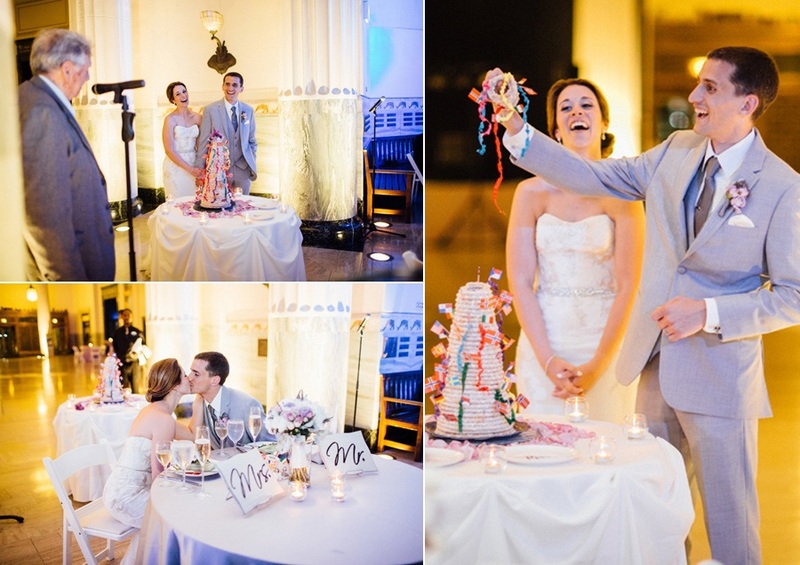 Guests surrounded the Caribbean Reef while they dined and who could forget the many impressive layers of the festive Kransekake cake – a family tradition! 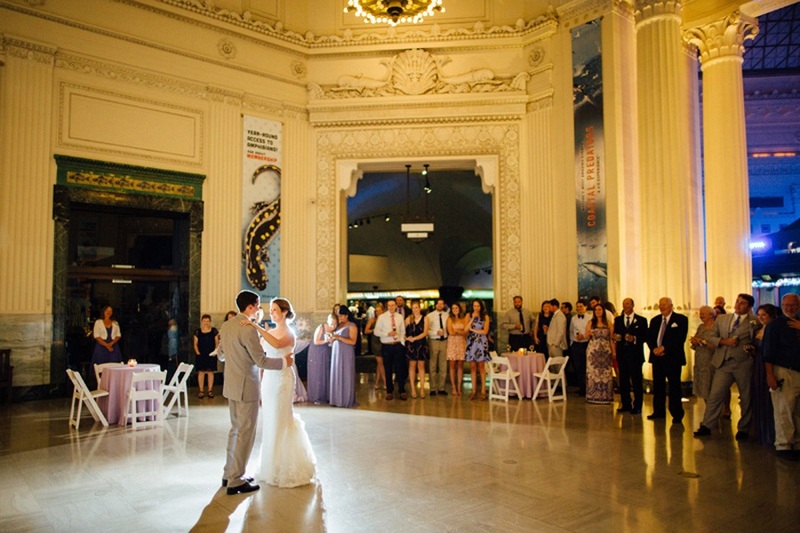 An epic dance party commenced proving that this couple, their friends and families really know how to have some serious fun! 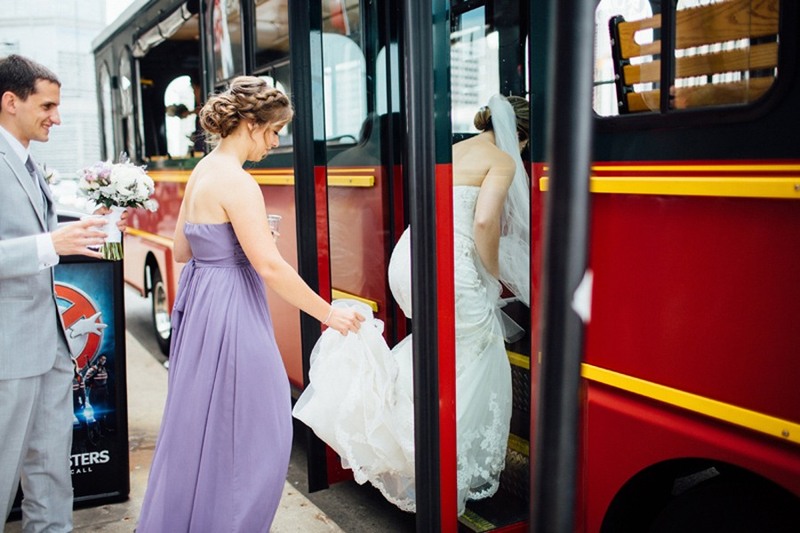 Transportation: First Student Bus + Chicago Trolley and Double Decker Co.